Color stone coated metal roof tile is a kind of new roof material abroad. It features in energy saving, brilliant design and sound-proofing. It is made from acrylic glue, sandstone and alu-zinc base sheet. 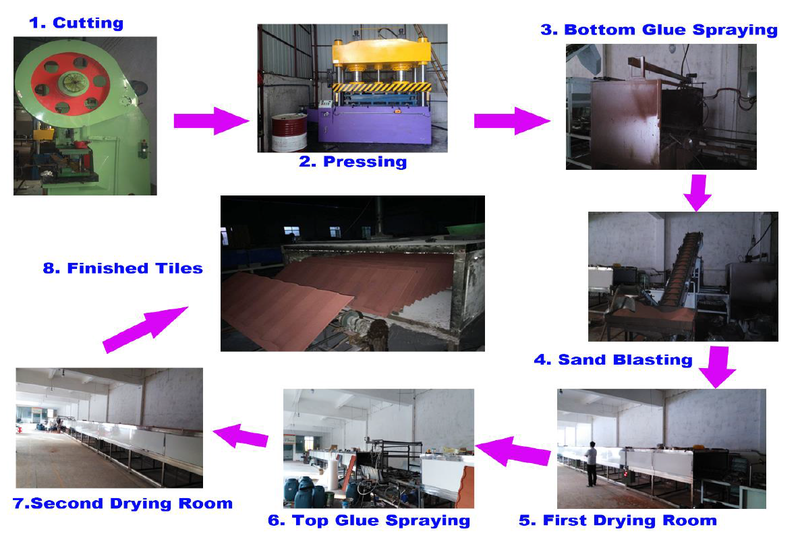 With the developing of the industry of building materials abroad, more and more roof tile traders now start to produce the manufacturing of the roofing tiles themselves. But most of them are not very familiar with how to produce stone coated metal roof tile sucessfully. As a professional raw material supplier of manufacturing of stone coated metal roof tile in China, we have rich experience in smoothing the production of the stone coated metal roof tile for our customers. If you have any interest in manufacturing stone coated metal roof tile, please kindly feel free to contact us at any time.